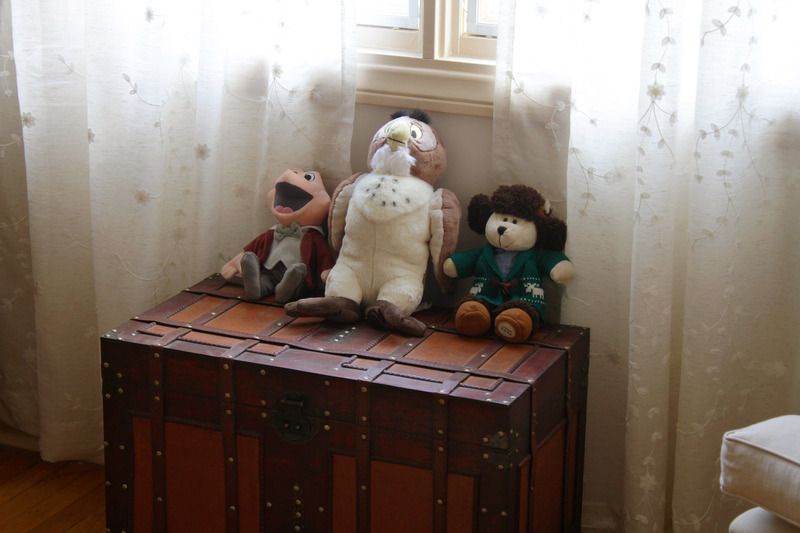 Ever since we purchased our home, we designated one of the bedrooms as the nursery. Though we knew it would be a couple of years before we would be ready for children, we decided to leave that room untouched until the time came. That time came this past summer when we found out we were expecting, and the opportunity to design this final room in our home has been one of the most exciting projects during my pregnancy. The room came together slowly over the past few months, and now that we’re mere weeks away from meeting our baby girl, we can at last say that it’s ready for her arrival. 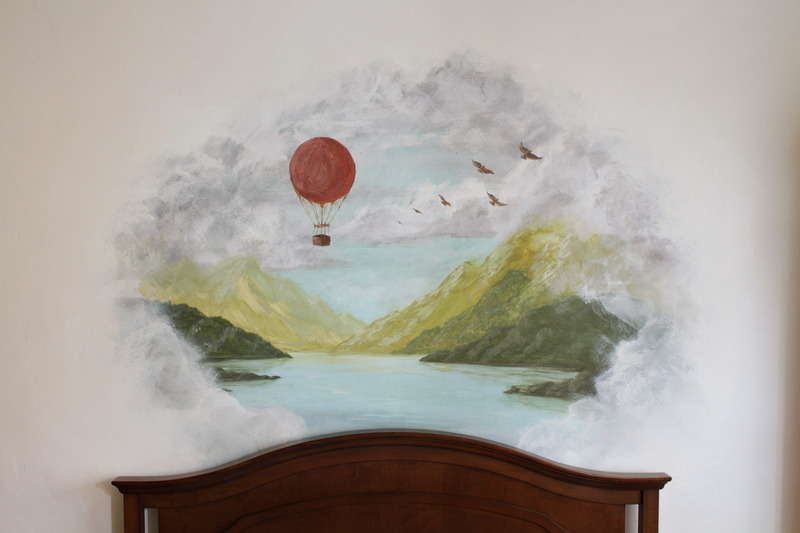 The anchor piece to the room is this lovely mural that James hand painted above the crib. Adventure awaits our little one as she sets off on a ‘voyage extraordinaire’ to the furthest recesses of her imagination. We will of course be spending a lot of time in this room as she grows, and having a comfortable spot for feeding and reading is an essential. 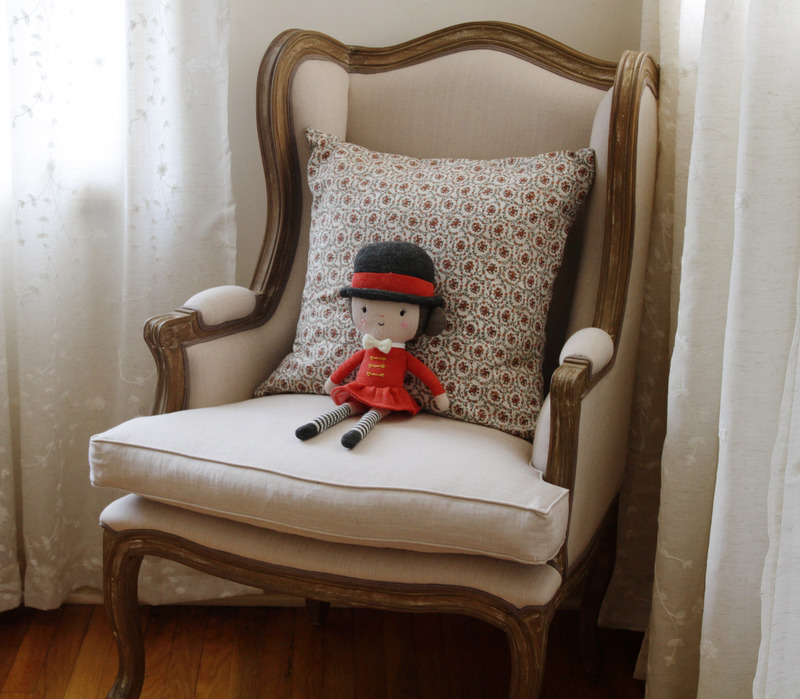 After looking at various chairs, we decided on this wingback chair that didn’t feel too bulky, and fit this corner of the room perfectly. 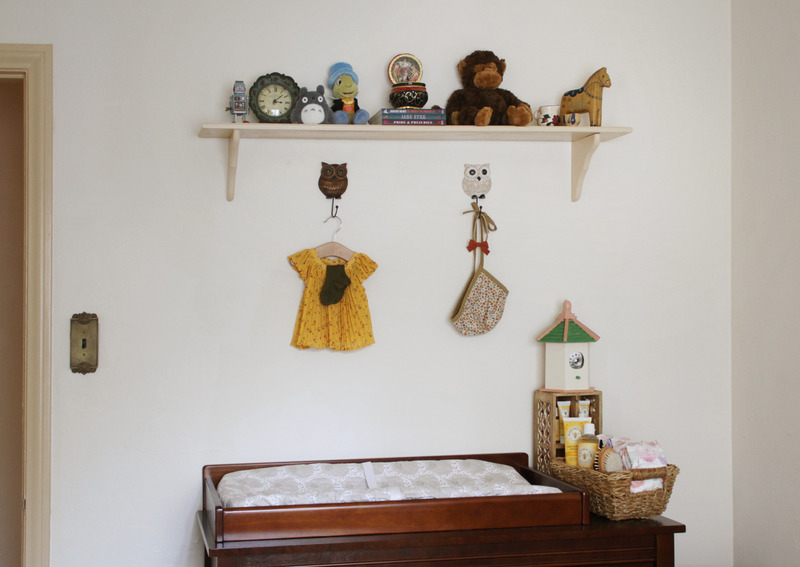 Opposite the window we set up a changing station with a simple shelf above it to fill up the empty space. Owl hooks above the changing pad will be used to hang up her clothes for easy access as we get her dressed. 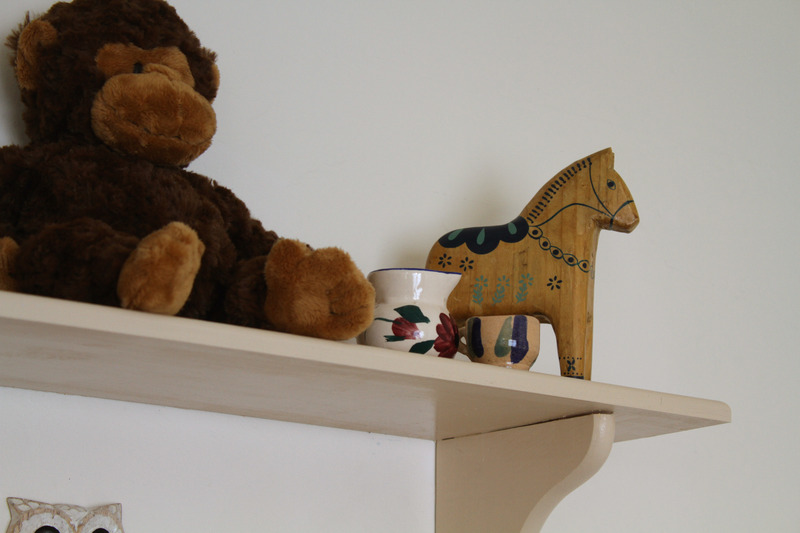 A variety of toys and animal friends are used throughout the room to make the space welcoming. 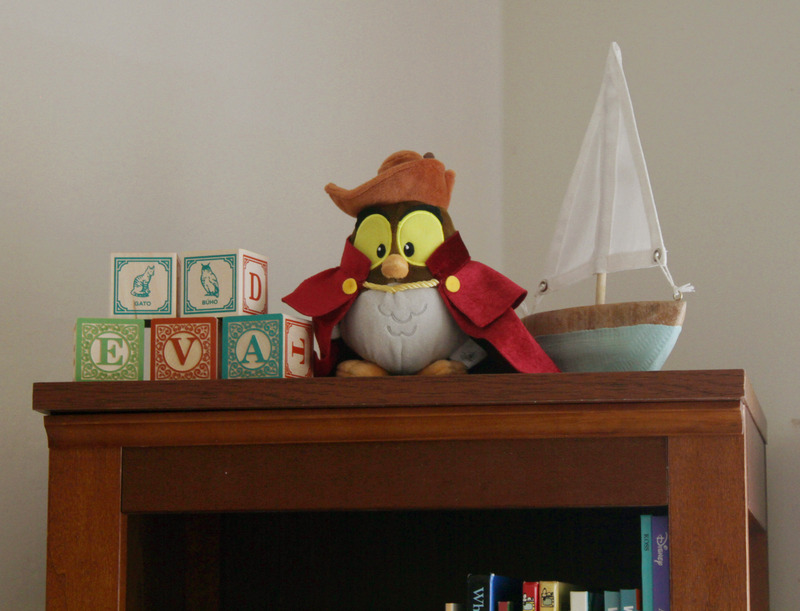 One of my favorite touches is the blocks spelling out her name on top of the bookshelf. The blocks use Spanish words such as ‘gato’ and ‘buho,’ which will come in handy raising bilingual children. 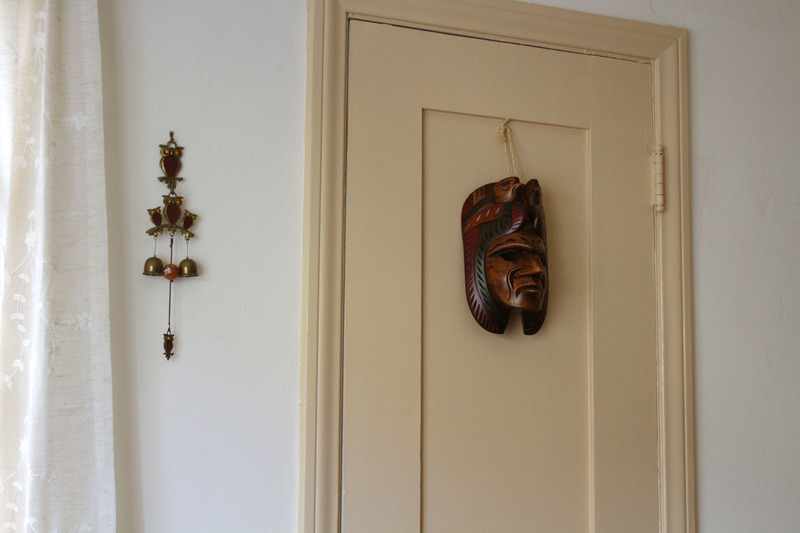 We also used some decor pieces from Guatemala, like the wooden mask we brought back from our travels, and an adorable tiny pitcher and teacup that my mother brought from Guatemala on her latest trip. 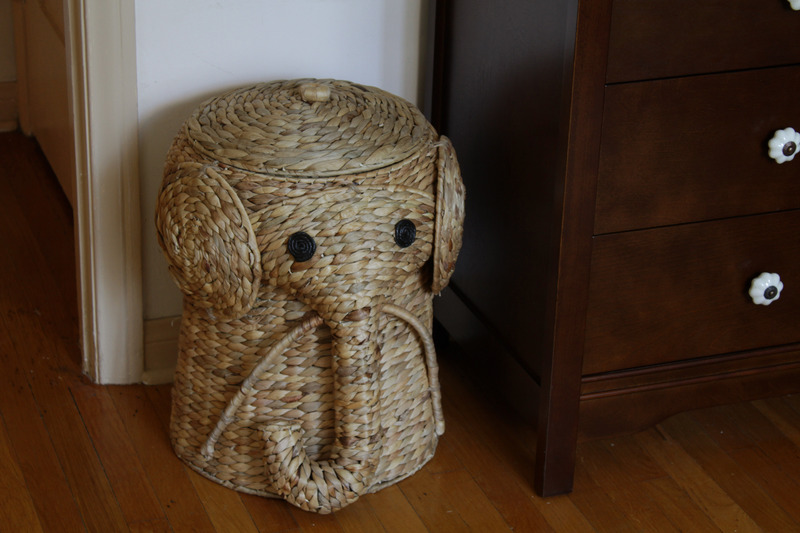 Even when it came to practical items such as a hamper, we took the opportunity to make it a fun and endearing element by picking one shaped like a cute elephant. Another instance where we took something practical and made it more whimsical was in hiding the baby monitor inside a painted birdhouse. This solution is not only a more pleasant visual touch, it allows us to securely hold the monitor in place where it can look over the crib, while also hiding away cables. 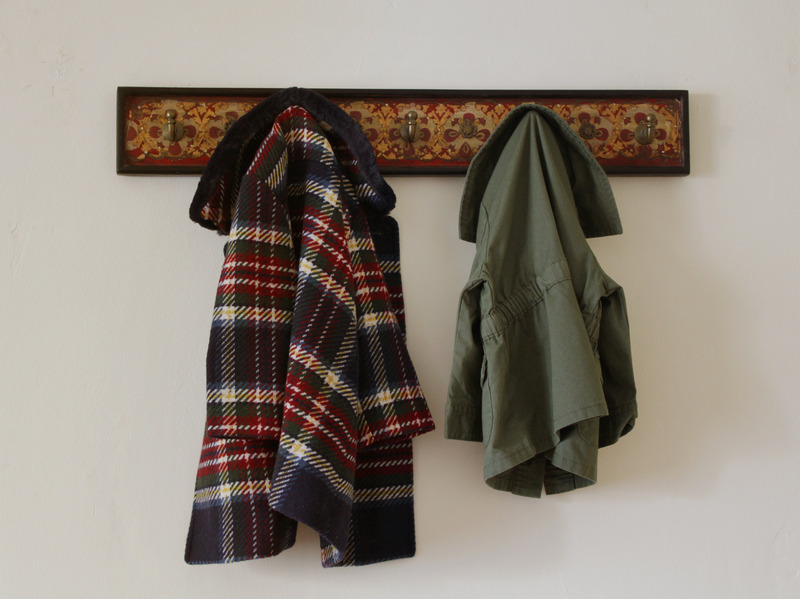 On the wall by the door we put up a small decorative mounted coat rack to easily access coats and jackets when we’re heading outdoors. I love how it gives us the opportunity to display more of her adorable tiny clothes. 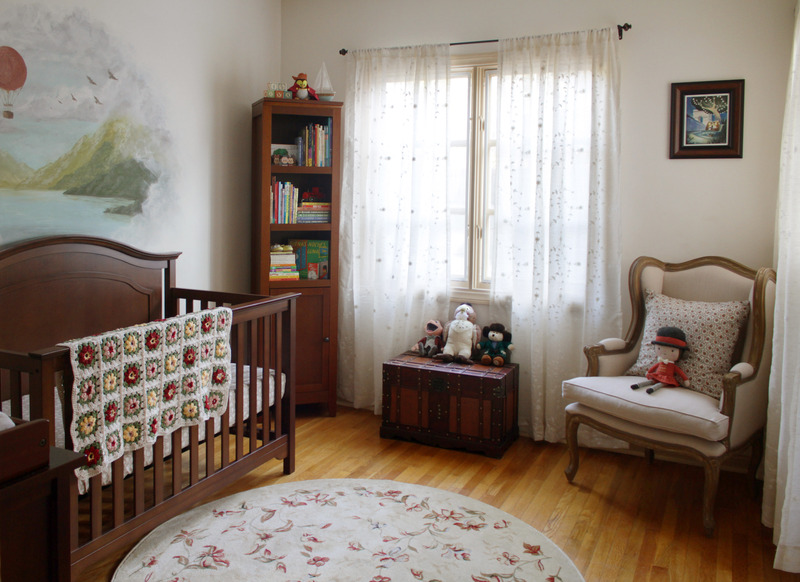 Though we know that this room will continue to evolve as our baby grows up, it’s just right for welcoming her to her new home. 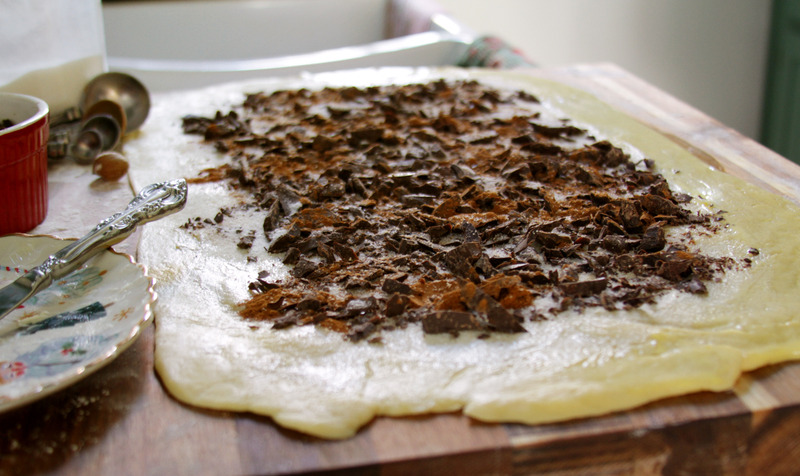 We are so grateful that we have this space that she will be able to call her own.